We feared it would come to this  Sony Japan has just used its quarterly earnings report to slip out the news that it is ceasing production of everyone’s favorite robot dog, Aibo. Qrio and the super-expensive Qualia line are for the chop too. Sony reported some of its strongest quarterly earnings in several years on Thursday and upgraded its forecast for the full year. Both sales and net profits jumped to all-time highs, helped by good news from product sectors that had been problematic. In a continuation of its cost-cutting efforts, however, Sony also said that it would discontinue several more products including its Aibo robot. Sony’s key electronics business saw improvements on the back of brisk sales of its Bravia LCD televisions, which achieved number-one market share in the U.S., according to Nobuyuki Oneda, Sony’s chief financial officer, speaking at a Tokyo news conference. Sony was late to the LCD TV market and its products had been performing poorly until the launch of the Bravia line. Electronics sales were up 4.7% to ¥1.6 trillion and operating profit increased 56.2%to ¥78.9 billion. Sales fell in Japan and Europe but climbed in the U.S. and the rest of the world. Sales of DVD- and high-definition camcorders were also healthy, and Sony sold more digital music players in all regions, it said. However, sales of CRT televisions fell as consumers showed a preference for flat-panel models, the company said. “In the electronics business there were signs of recovery but it’s not yet at a satisfactory level,” said Oneda. 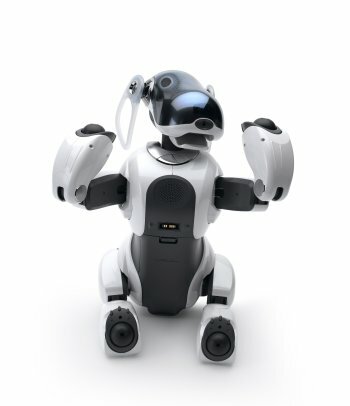 Continuing the restructuring in its electronics business, the company said it would end its Aibo robot line, stop development of its Qrio robot, stop development and manufacturing of plasma televisions, and stop selling in-car entertainment products in Japan. It will also kill its Qualia line of pricey, high-specification products. In the gaming sector, strong demand for Sony’s PlayStation Portable (PSP) helped lift overall sales for the division by 48% to ¥419.2 billion, and operating income by 52% to ¥67.8 billion. The company shipped 6.2 million PSPs during the quarter, up 5.7 million from a year earlier, and 5.4 million PlayStation 2s, 2 million less than the same quarter a year earlier. Sony’s pictures division recorded a small loss on flat sales after the lack of a hit movie in the quarter. Its financial services sector reported a 31% increase in revenue and a 238% increase in operating income, thanks in part to higher returns on investments. The results had been eagerly awaited by Sony watchers for signs that the corporate-wide restructuring is paying off. The plan, which was outlined in September, is on track, Oneda said. By the end of 2005, Sony had achieved cost reductions of ¥15 billion out of its target of ¥200 billion, which it hopes to reach by the end of March 2008. Its total staff count has been reduced by 2,400 against a target of 10,000, and three manufacturing plants have been closed or sold against the target of 11 by the 2008 deadline. For the full year, Sony said it now expects sales to be ¥7.4 trillion, 2% above its previous forecast, and net income to be ¥70 billion. Sony had previously said it expected to lose ¥10 billion during the full year.